Wonderful vintage apartment in the heart of Denver. Just two blocks from the Capitol building and walking distance to many great neighborhood bars and restaurants, as well as downtown Denver. The building was constructed in 1908 and is on the National Historic Register. The interior has hardwood floors, exposed brick accents, and an original cast iron claw foot tub. 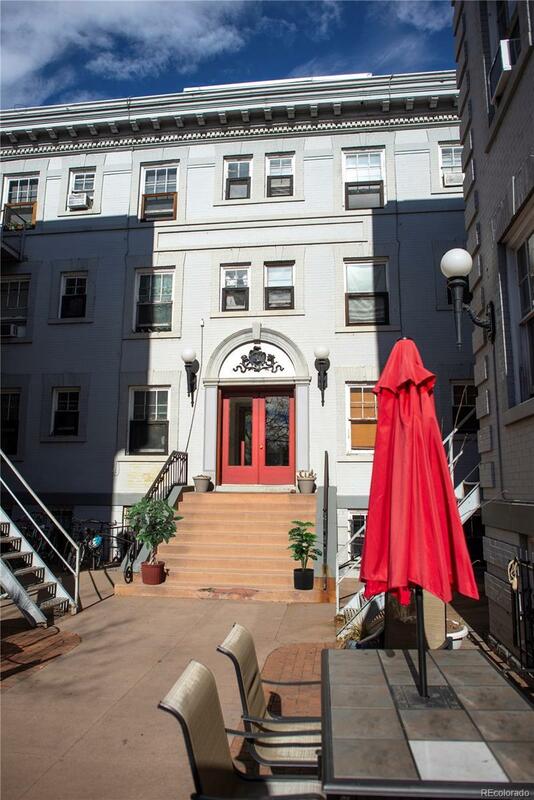 Heavy molding and large windows surround three of four sides of this Cap Hill gem. There is plenty of natural light as well as updated modern light fixtures and an updated kitchen.